Description: The shining star of Atelier Sawano, Russian-born pianist Vladimir Shafranov is back with a new release. A long-time resident of Finland, Shafranov teams up again with his trusted Finnish drummer Jukkis Uotila, but the big news here is the participation of Danish bassist Jesper Lundgaard. Considered as one of the greatest in Europe and arguably the world, Lundgaard is reunited with Shafranov for the first time since the 1980s. Together, the three musicians display their artistry in a relaxed, joyful mood. Their ensemble is tight and the rhythmic feel is so "in the pocket." As a seasoned pianist, Shafranov dazzles us with sunny melodies, his beautiful touch and lyricism, strong bop spirit, and lilting bossa tunes. 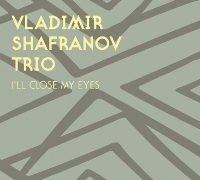 A thoroughly enjoyable piano trio album and a must-have for Shafranov fans! Recorded in May 11 & 12, 2009.